SALE - A great design for any age, especially those with a more subtle fashion sense. 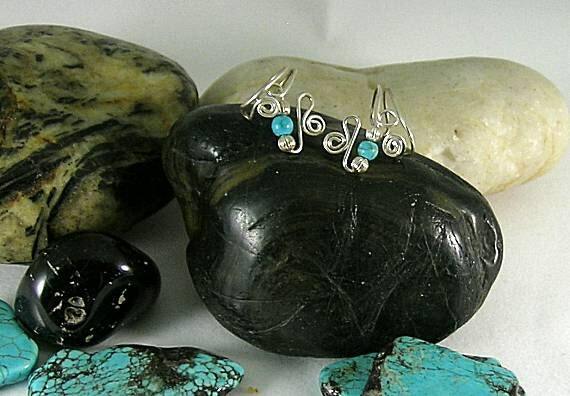 It has only one 4mm turquoise bead and sterling silver spacer beads on each side ear cuff. 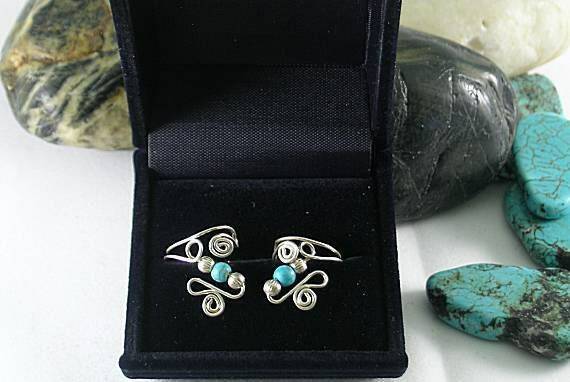 Additional sterling silver wire spirals complete the design. Other stones are available for custom orders, such as coral and obsidian as well as Swarovski crystals and pearls. Fitting the Earcuff - Since each individual's ear is unique, your earcuff will need to be fitted especially for you. 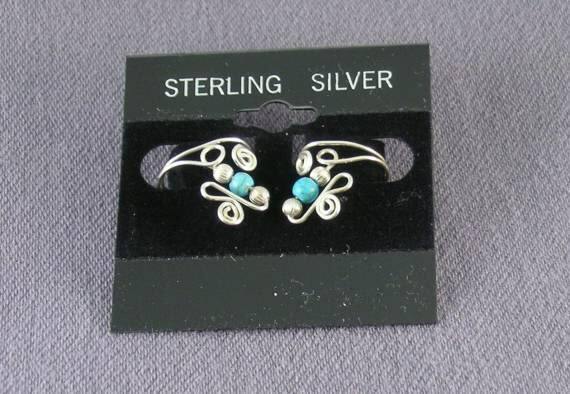 Adjust the earcuffs as needed with slightly bending or straightening the wires for each ear's shape and size. Be careful to keep the basic shape as close as possible to the original. Wearing the Earcuff - Place the earcuff on the outer edge of ear with the smallest half circle in front. After it is on the outer edge, turn earcuff toward the inner ear and fasten there. Slide up and down to position it where you want it to be. Enjoy!